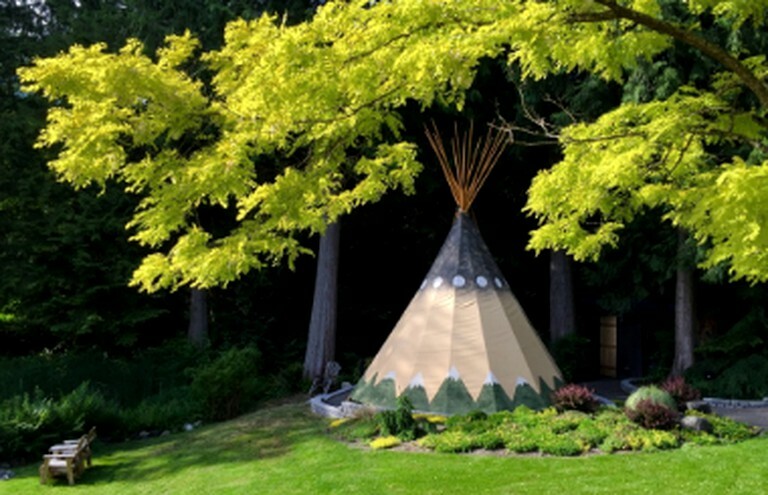 This luxury tipi is the perfect rental for a vacation on Bainbridge Island and can sleep up to two guests. 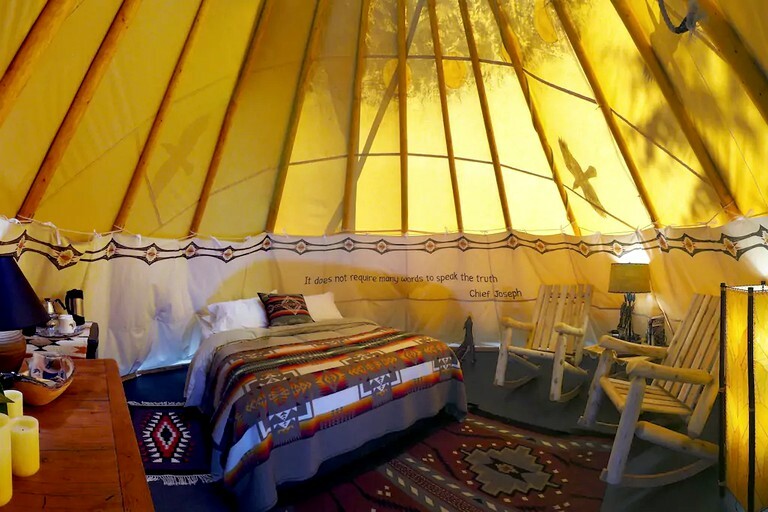 The tipi is very cozy and inviting, outfitted with a comfy queen-size bed, log rocking chairs, occasional tables, reading lamps, warm robes, and slippers. Guests should bring layers, since evenings and most early mornings are cool, and summer days can be warm! 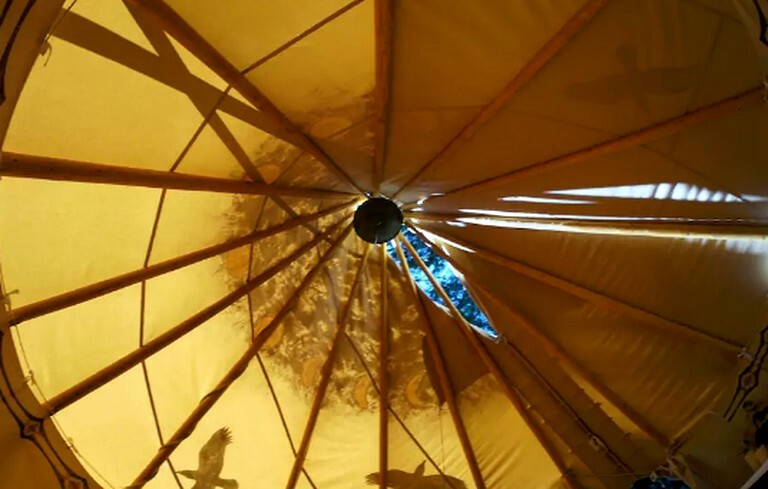 There is a fan for warm summer days, but there is no heat in the tipi. 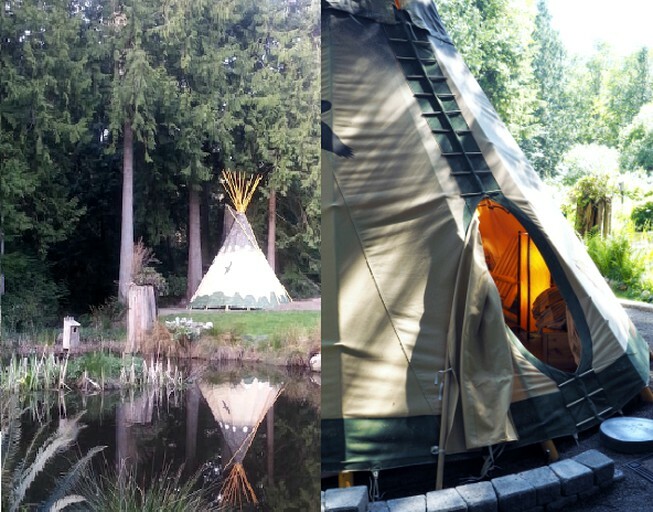 Outdoor furniture is provided just outside the tipi and down by the pond, and the fire pit is stocked with wood for evening or morning fires (except when there is a city-wide burn ban in effect). 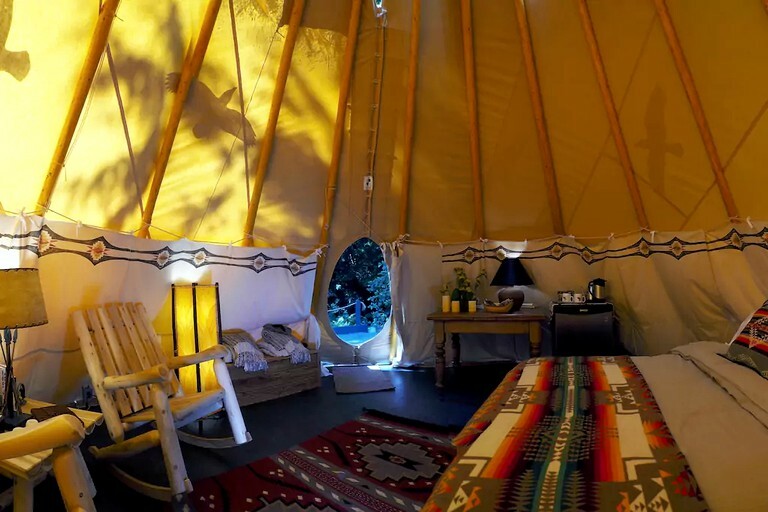 The tipi has a small refrigerator, closed containers to store food and an outdoor fireplace but there are no cooking or kitchen facilities. Guests are welcome to bring food to eat on site, and many local restaurants and the two grocery stores on the island offer prepared food. The booking fee includes a continental breakfast of granola, yogurt, and jams that are all made on site. 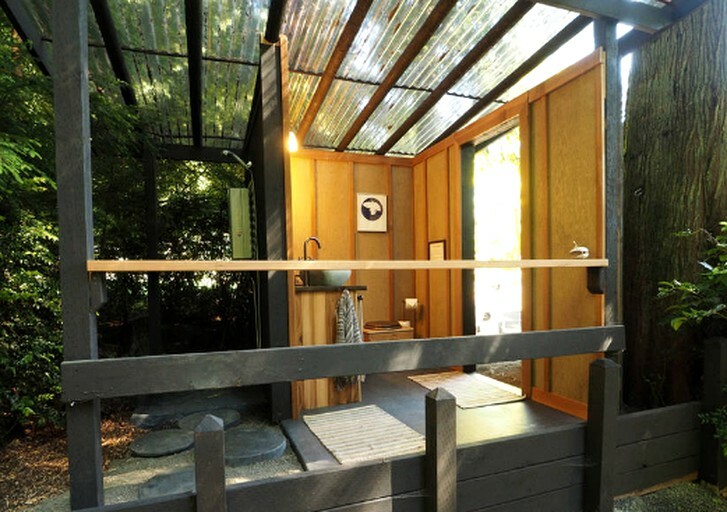 This is accompanied by French press coffee or tea, freshly picked farm berries, and fresh juice. 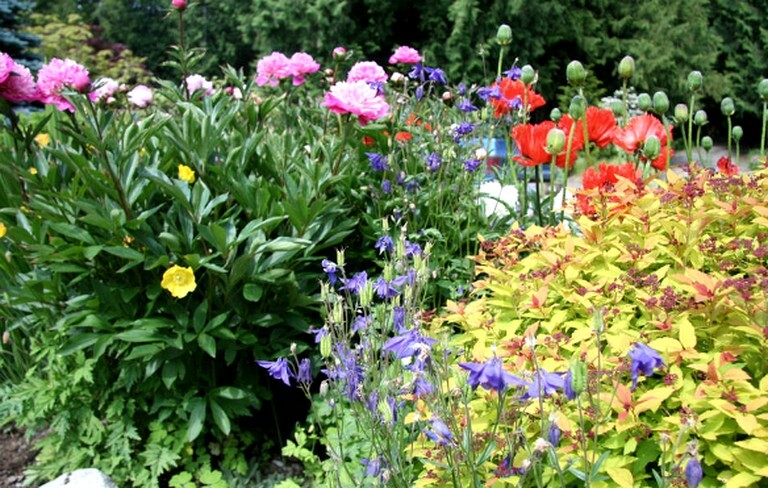 The property is a small working farm with berries, fruit, herbs and flowers; the owners have a commercial kitchen where they make jams, seasonings, caramel sauce, cocoa mixes, cocktail enhancements, handmade soap and natural skin care products for sale. There are also chickens and two Jack Russell terriers on site. 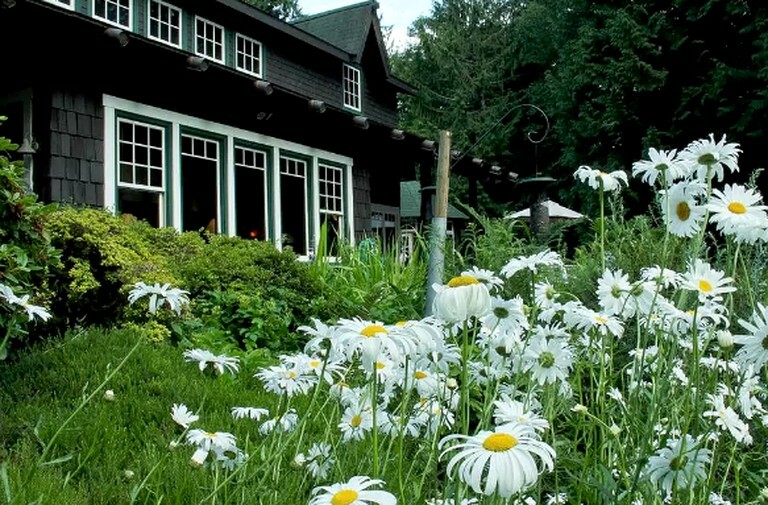 Guests are invited to tour the grounds and the studio while staying at Sweetlife Farm. There is taxi service that meets every ferry, as well as UBER. 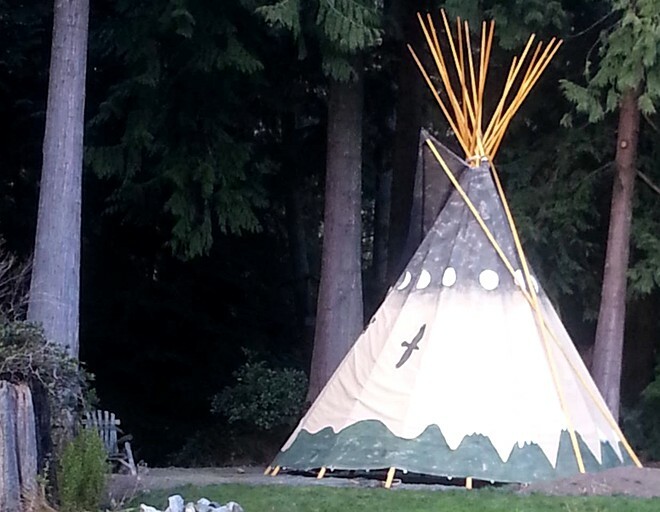 There is a bus stop a mile from the property. Most shopping and restaurants are downtown, 3.5 miles from the property, and other places worth exploring may make bringing a car more convenient, depending upon the type of experience desired (many folks don't leave once they arrive, except for hikes and bicycle rides and going out for food). Bike and kayak rentals are available downtown, within walking distance from the ferry. This island boasts plenty of exciting activities for guests to enjoy. 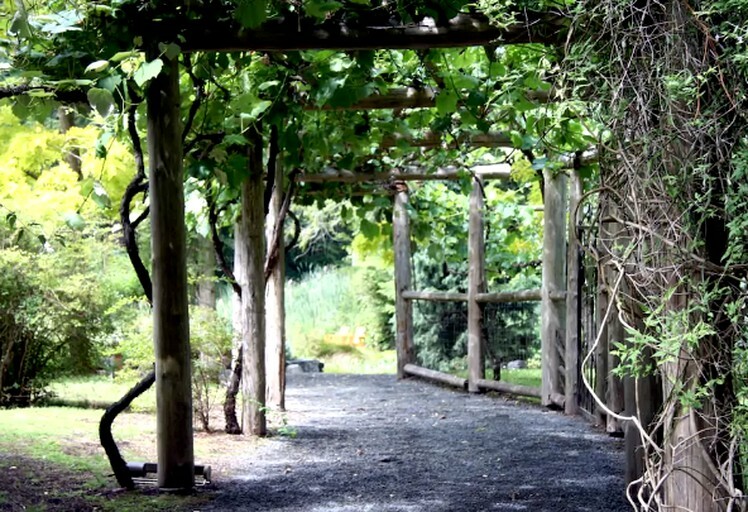 Bainbridge is home to a local distillery, a local brewery, and a number of local wineries. 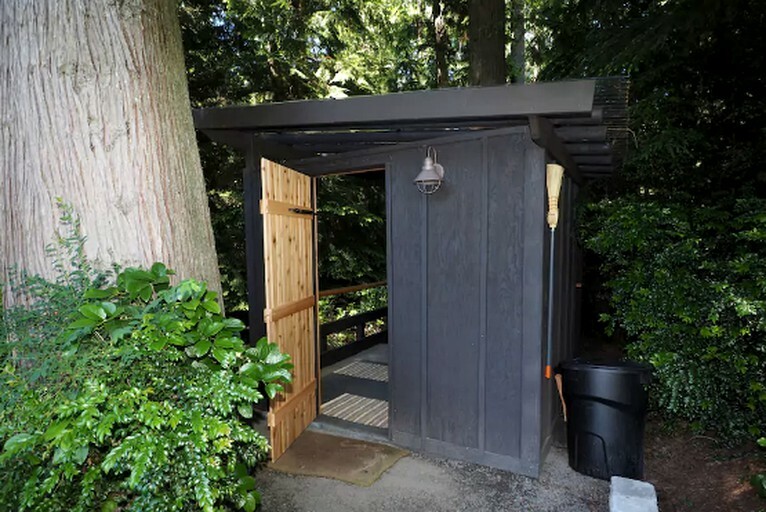 The Bloedel Reserve, Battlepoint Park, Fort Ward Park and Fay Bainbridge Park offer spectacular places to play, hike, and enjoy the natural beauty of Bainbridge Island. Cyclists of moderate ability, due to the hilly terrain, flock to Bainbridge Island and Kitsap County for an ideal, picturesque place to ride. For guests hoping to enjoy a more leisurely stay, a relaxed stroll followed by a picnic is the perfect way to spend the day. Please note that there is a one-night minimum stay Sunday through Thursday. A two-night minimum is required when booking either a Friday or a Saturday (Thurs-Fri, Fri-Sat, or Sat-Sun). Pets are not welcome, and this property is not suitable for children under 12 or more than two people.